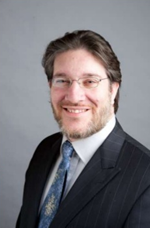 Eli Verschleiser is a New York real estate developer and investor in the commercial real estate sector who has conducted over six billion dollars of real estate sales. Not only does he have two major affiliations with real estate companies but he also conducts extensive charity work and has many significant real estate deals to include in his impressive portfolio. There are two main real estate organizations in which Eli Verschleiser has been involved over the years. From 2001 until 2011, he served as the Chief Executive Officer for The Multi Group of Companies. This is a firm that works within the private real estate sector with a special focus on sourcing financial solutions. The second organization in which Verschleiser has played a major role is United Realty Partners which he founded in 2011 with his partner Jacob Frydman. He is both President and Treasurer of this privately held firm that invests in commercial real estate and provides sound advisement services within the field as well. The charitable work that Verschleiser does in his spare time is admirable. There are three major non-profit organizations in his home town of New York City in which Verschleiser is involved. The first is The American Jewish Congress where Verschleiser is Treasurer, which is an organization that works to defend the interest of Jewish people in the United States and around the globe. The second organization is Our Place NY where he serves on the Executive Board, which is a non-profit organization providing services such as shelter, counseling, and education for disturbed youth. Finally, he is on the Board of Advisors for Magenu, which educates children regarding personal safety. While Verschleiser has been involved with a wide variety of real estate projects over the years, there are a few of note. He was involved in the 650,000 square foot Norden Park Plaza transaction in Norfolk, Connecticut which currently houses a diverse array of corporate entities. In addition, Verschleiser has worked with Donald Trump and The Trump Foundation on real estate properties. As he lives in New York, the majority of his work occurs in the North Eastern United States. He has developed multiple properties within the east including both residential and commercial real estate. Verschleiser also purchased a portfolio from Brandywine Realty Trust consisting of one million square feet. Eli Verschleiser is a man of many talents. His work as both a real estate investor and a charitable man are a testament to that fact.